Buckler’s Africa, an outstanding small lodge near Kruger Park’s Crocodile Bridge Gate, is a great alternative to the park’s mediocre rest camps and pricey private game lodges. I’m so glad that I stumbled upon this gem of a place. Buckler’s is a B&B and self-catering lodge only ten minutes from Kruger Park’s Crocodile Bridge Gate. It is a great location for exploring the southern section of the park. 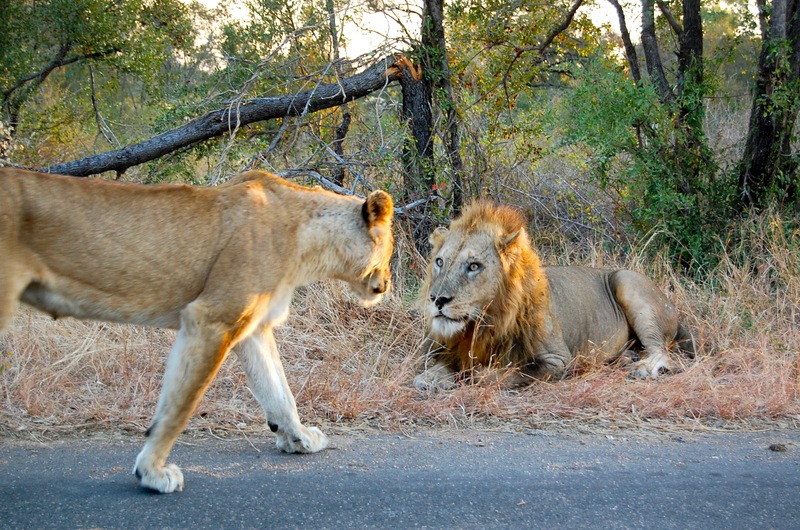 Kruger Park is massive, so it’s a good idea to divide your time among two or three locations. We spent a couple of nights at Kruger’s centrally located Satara and Olifants camps—cat and elephant country. Buckler’s became our base for three days of exploring the park’s southern reaches that boost the best chances of spotting the Big 5. We arrived late at Buckler’s, after a thrilling mountain biking adventure at Olifants Camp. Cheryl, the owner and consummate host, gave us a tour of the beautiful main lodge and then showed us to our rooms. My jaw dropped; the place was gorgeous—tastefully “Out of Africa” with high thatched ceilings, crisp linens, exquisite local décor and artwork, and luxurious bathroom. I’m a poor sleeper, the curse of a middle-aged, high-strung female, so I was shocked when my husband shook me awake after ten beautiful hours of sleep in the comfiest bed. I stretched myself into wakefulness and got my first daylight look at our lovely room, aglow in the African sun. 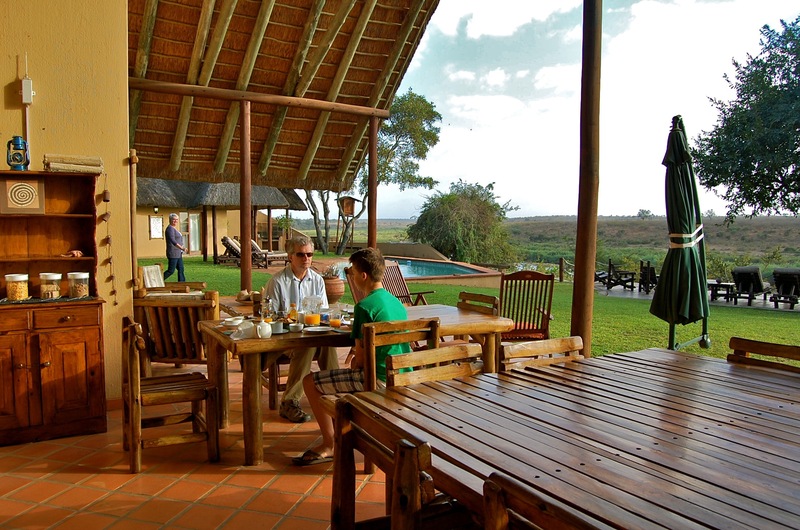 Breakfast on Buckler’s patio, with sweeping views of the Crocodile River and Kruger Park on its far bank, is a feast. After indulging in fresh fruit, yogurt, eggs, and all the fixings, it’s tempting to simply heave yourself from your chair and mosey over to the loungers around the pool and viewing deck. If you’re lucky, you’ll see elephants crossing the river. Some come right up to the resort’s retaining wall. 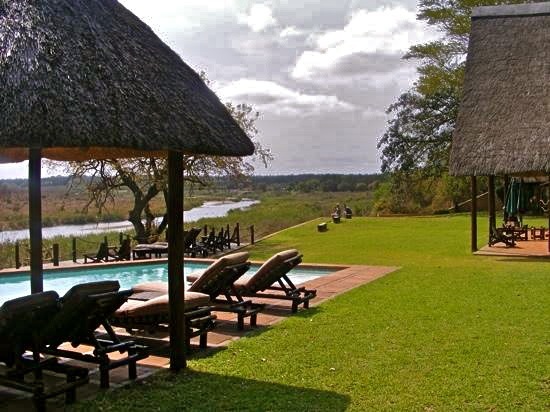 From Buckler’s it’s easy to explore the Kruger territory encompassing Lower Sabie, Skukuza, and Berg-en-Dal camps. I particularly enjoyed the area around Lower Sabie and the spectacular Sunset Waterhole where I counted 17 crocs and even more hippos. We had one of our best lion sightings near Crocodile Bridge Gate. In our three days of self-drives we were thrilled to see the Big 5 several times over. 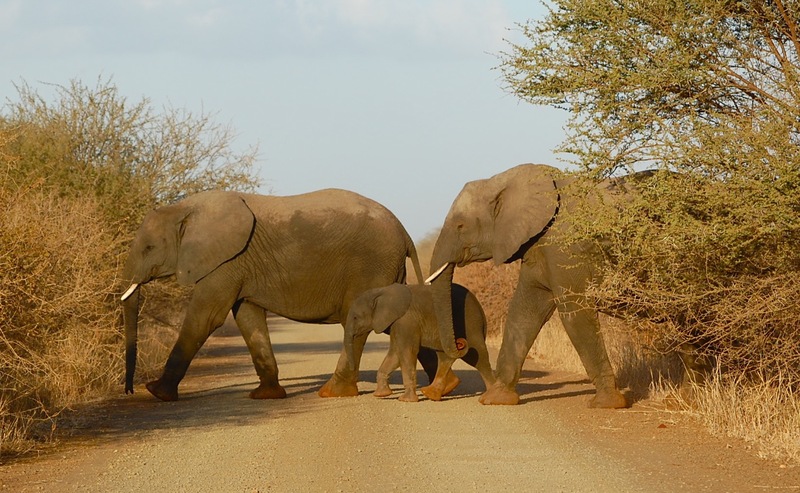 Buckler’s arranges safari tours if you prefer to have someone else do the driving and guiding. Self-catering is popular among South African vacationers, but for foreign travelers who can’t be schlepping the kitchen sink, it can be bit challenging. Not at Buckler’s—our kitchen was outfitted with everything we could possibly need. There are restaurants in easy driving distance of Buckler’s, but we loved cooking in our comfortable digs. My husband celebrated his birthday at Buckler’s —9 rounds of golf in nearby Komatipoort, an afternoon of animal viewing in Kruger, and Fred Flintstone sized steaks on the braai (barbeque) washed down with some fine red wine and topped off with birthday cake. It was perfect and I couldn’t have pulled it off without Cheryl who helped me with the arrangements. We had a brilliant stay at Buckler’s Africa, and it didn’t break the bank. Come for at least 3-4 days and I’ll bet you’ll never want to leave. Nevermind, I found more posts on S. Africa. What kind of camera did you use? Did you need a telephoto lense? We had a Nikon digital SLR and we used the telephoto for some of the animal shots. It’s more cumbersome to lug around but in the end we were really happy to have it. Getting a close-up of a lion is pretty cool.